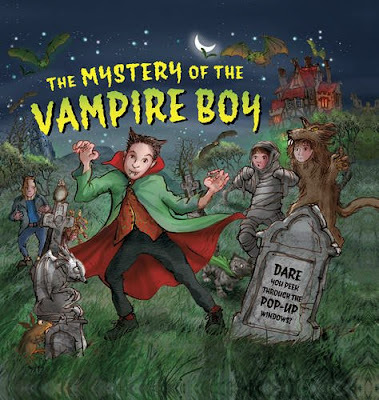 "Mystery of the Vampire Boy" is coming out on September 7. It's a sort of pop-up book where you can look through little windows to see spooky scenes. The book is intended for kids age 5-10, but I think this eldergoth needs her own copy for her library.